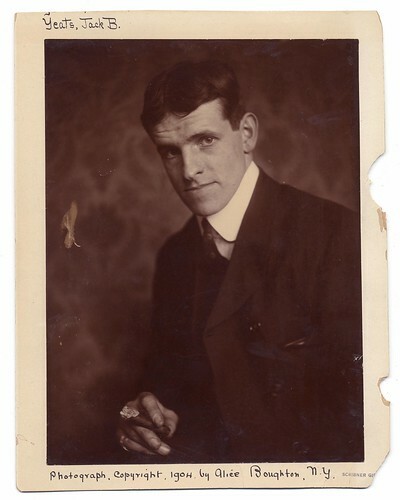 Jack B Yeats is one of Ireland’s most famous painters. He was also an Olympic Medal winner and brother of the poet W B Yeats who received the Nobel Prize in Literature in 1923. Paintings by Jack B Yeats can be found in the National Gallery of Ireland and in other galleries in Ireland and abroad. John Butler Yeats was born in London in 1871. His family had moved to England in 1867 so that his father could further his career as an artist. Jack B Yeats grew up in Sligo with his grandparents and what he saw there was the basis of much of his early work. Everyday life in Ireland is reflected in his most famous paintings. Following independence, Yeats was the winner of Ireland’s first Olympic Medal. In the Olympic Games in Paris in 1924, his painting The Liffey Swim won a silver medal in the Arts and Culture section. Today paintings by Yeats are much in demand. His painting ‘The Wild Ones’ was sold for over €1.5 million in 1999. ‘The Boat Builder’ which Yeats painted in 1913 was sold for over €600,000 in late 2015. Yeats died at the age of 85 on March 28th 1957. Jack B Yeats was born in the year 1871 On This Day. Edmund Ignatius Rice was a native of Co Kilkenny, Ireland. He was the founder of the Congregation of Christian Brothers, a Roman Catholic religious order which is over 200 years old. Commonly known as the Christian Brothers they work mainly in the area of youth education. 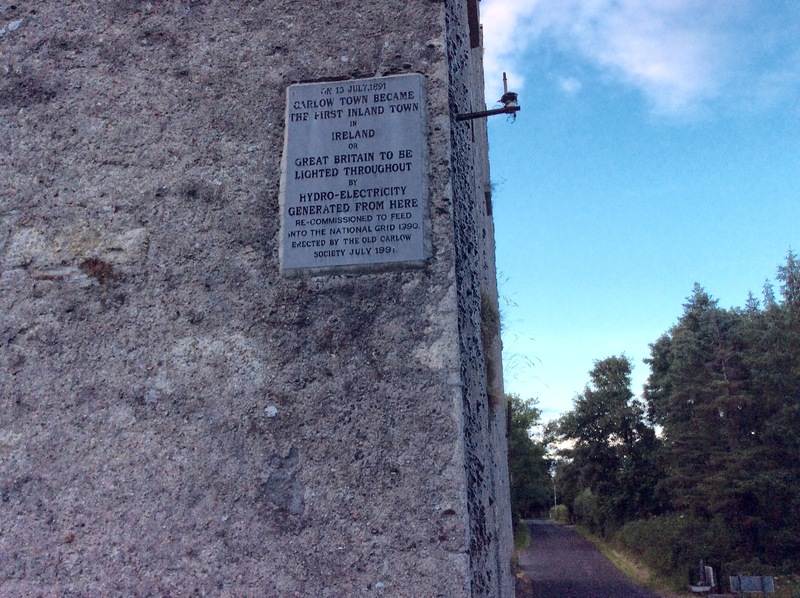 Edmund Ignatius Rice was born in Westcourt, Callan, Co Kilkenny on June 1st 1762. He was educated locally and spent two years attending a private secondary school in Kilkenny city. At the age of 17 he moved to Waterford city to work for his uncle. At the age of 25 he inherited his uncle’s business trading goods and livestock through Waterford Port. He became an influential businessman in the city and as a ships chandler he was a large employer. In 1785 Edmund Rice married Mary Elliot. Four years later his wife was killed and his daughter disabled in a riding accident. Shortly thereafter he sold his business and opened a school where education was provided free of charge. The numbers attending his schools grew rapidly and he was joined in the work by Patrick Finn and Thomas Grosvenor form his hometown of Callan. Classes were at first held in unsuitable buildings until Mount Sion monastery was opened in 1803. By 1806 schools were established in Dungarvan, Carrick-on-Suir and Cork city. Rice devoted his life to education, establishing the Presentation Brothers and the Christian Brothers. 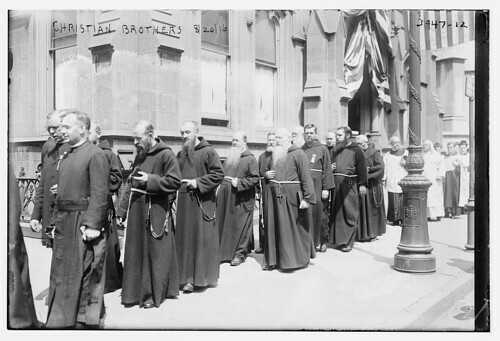 By 1825 there were 30 Christian Brothers working in 12 towns and cities throughout Ireland. They were providing education for over 5,000 boys, free of charge. 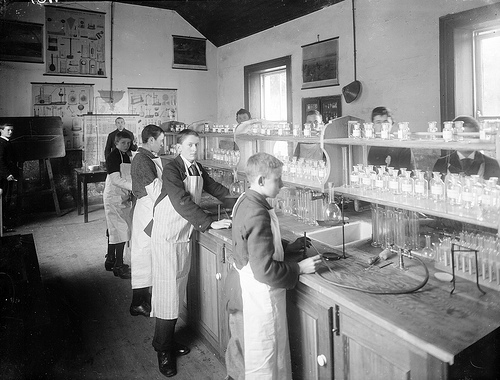 The Orders went on to provide education services in many locations around the world. Edmund Rice was raised to the status of ‘Blessed’ in 1996. Edmund Ignatius Rice died at the age of 82 at Mount Sion in Waterford City in the year 1844 On This Day. The National Library of Ireland is located on Kildare Street, Dublin. The Library is an autonomous cultural institution whose mission is ‘to collect, preserve, promote and make accessible the documentary and intellectual record of the life of Ireland and to contribute to the provision of access to the larger universe of recorded knowledge’. During its lifetime various government departments have had responsibility for the Library. Today the Minister for Arts, Heritage and the Gaeltacht has overall responsibility for the Library. Like many other institutions the National Library of Ireland has its origins in the Royal Dublin Society (RDS). The RDS was founded as the Dublin Society in 1731 by the authors Thomas Prior of Rathdowney and Samuel Madden of Dublin. The Society was founded to ‘promote the development of arts, agriculture, industry and science in Ireland’. Over a hundred years after its foundation the RDS decided to provide better access for the public to its library resources. Negotiations followed between the RDS, the Commissioner of Public Works in Ireland and the Department of Science and Art in London. These negotiations eventually led to the passing of the Dublin Science and Art Museum Act in 1877. The passing of the Act enabled the establishment of the National Library of Ireland. A public competition to design a building to house the Library was held. Following the competition the contract to design the building was awarded to Cork born architect Thomas Newenham Deane. The foundation stone for the building beside Leinster House was laid by the Prince of Wales, the future King Edward VI of England, on April 10th 1885. The building took five years to complete and was opened at a public ceremony by the then Lord Lieutenant of Ireland, the Earl of Zetland. During the opening ceremony the architect Thomas Newenham Deane received a knighthood. 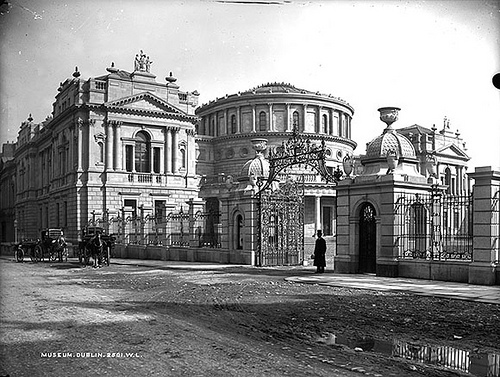 The building which houses the National Library of Ireland was officially opened in the year 1890 On This Day. Lieutenant John Alexander of Milford Co Carlow, Ireland was an officer in the 1st Dragoon Guards during the Anglo-Zulu War of 1879. The Anglo-Zulu War between Britain and the Zulu Kingdom of South Africa took place between January and June of 1879. The Zulu King Cetshwayo, initially led his army to several successes and repulsed the invading British. However on July 4th 1879 Cetshwayo’s forces were decisively defeated at the Battle of Ulundi and the King became a fugitive. The war brought an end to the independence of the Zulu nation. John Alexander was a member of the Alexander family which established Milford Mills in 1790. The mills are located at Ballygowan on the banks of the River Barrow about 8km south of Carlow town. In 1840 the mills were described as ‘one of the most extensive and celebrated in Ireland’. The mills were used to supply electricity to Carlow town in 1891. Today Milford Mills continues to supply electricity to the national grid. Following the defeat of the Zulus Lieutenant John Alexander led the search for King Cetshwayo. The King was captured in august 1879 and sent to Capetown. In 1882 he travelled to London where he successfully negotiated the restoration of the Zulu monarchy. However a civil war followed in which the supporters of King Cetshwayo were defeated at what became known as the second Battle of Ulundi on July 21st 1883. 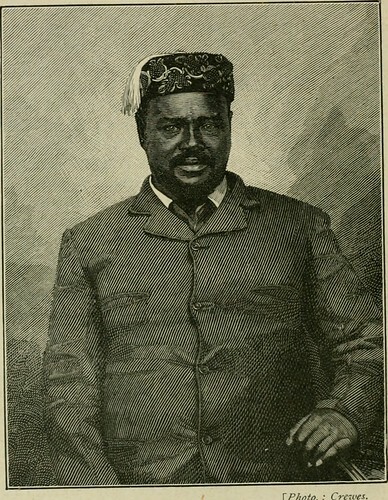 King Cetshwayo died in February 1884. Lieutenant John Alexander of Milford Co Carlow captured King Cetshwayo of the Zulus in the year 1879 On This Day. 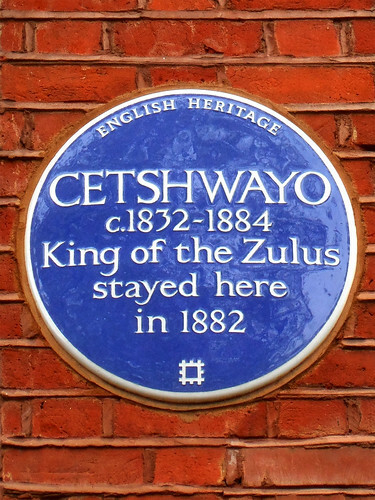 CETSHWAYO c1832-1884 King of the Zulus stayed here in 1882 by Spudgun67 on 2015-05-02 14:48:15. Martin Luther King Jr. was a minister in the Baptist Church and from the mid-1950’s leader of the Civil Rights Movement in the United States of America. In his role as leader of the Civil Rights Movement he advocated the use of non-violent protest to advance the aims of the movement. Born in Atlanta, Georgia on January 15th 1929, Martin Luther King graduated from high school at the age of 15. He was awarded a BA degree in Sociology from Morehouse College, Atlanta in 1948. In 1951 he was awarded a BD (Bachelor of Divinity) from the Crozer Theological Seminary. From there he enrolled in Graduate studies at Boston University where he received his PhD in 1955. In that year at the age of 25 King was appointed pastor of the Dexter Avenue Baptist Church of Montgomery, Alabama. When Rosa Parks refused to give up her seat on a bus in Montgomery, King led a citywide bus boycott. The boycott lasted 382 days before the law which mandated segregated public transportation was lifted. In 1957 he helped to found, and served as first president of, the Southern Christian Leadership Conference (SCLC) to lead the struggle for racial equality. He went on to lead the struggle for equality in places such as Albany, Georgia and Birmingham Alabama. He was one of the organisers of the March on Washington in 1963 where he established his reputation as an orator when he delivered his ‘I Have a Dream’ speech. In 1964 the Civil Rights Act was passed enforcing desegregation and outlawing discrimination. 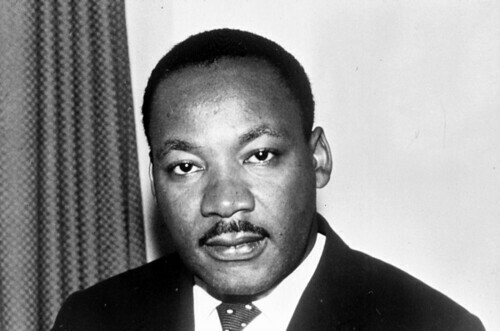 In the same year Martin Luther King Jr. was awarded The Nobel Peace Prize. During the 1960’s King continued to fight discrimination and broadened his campaign to address issues such as poverty and the Vietnam War. 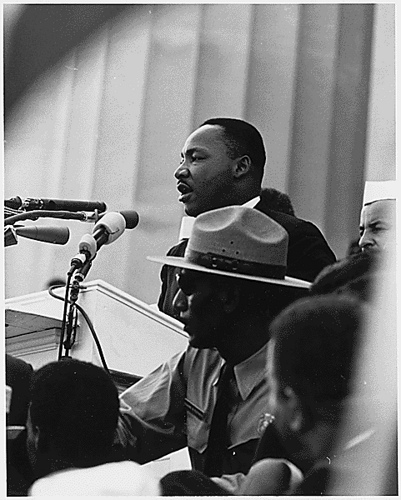 On April 3rd 1968 he went to Memphis Tennessee where he delivered a speech in support of striking sanitation workers. The day after the rally he was shot and killed by a sniper called James Earl Ray while standing on the balcony outside his room at the Lorraine Motel. His death led to widespread riots and demonstrations. Martin Luther King delivered his ‘I Have a Dream’ speech from the steps of the Lincoln Memorial in Washington DC in the year 1963 On This Day.